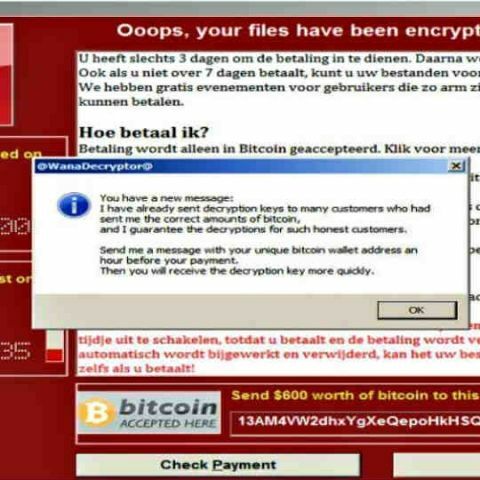 A pop-up message tells WannaCry victims that the attackers have been sending decryption keys to users who sent the right amounts to their bitcoin wallets. I have already sent decryption keys to many customers who had sent me the correct amounts of bitcoin, and I guarantee the decryptions for such honest customers. “Send me a message with your unique bitcoin wallet address an hour before your payment. “Then you will receive the decryption key more quickly. While this is obviously no confirmation of there being only one hacker, it shouldn’t be a reason to pay up either. It’s unclear whether the hackers are actually returning control of the encrypted files. A website set up by security researcher @m0rb (Twitter handle), shows that there have been a total of 307 transactions on the three bitcoin wallets used by the ransomware for payments. The number seems to have grown by less than 30 more transactions since April 17, when we last reported about the tracker. In turn, the total amount has risen from around $77,000 to around $90,000 at the time this story was written. It’s possible that the ransomware was pre-programmed to show this new pop-up message at a particular time, although security researchers say it could be that the hackers are actually sending the message right now. Either way, you shouldn’t be paying.